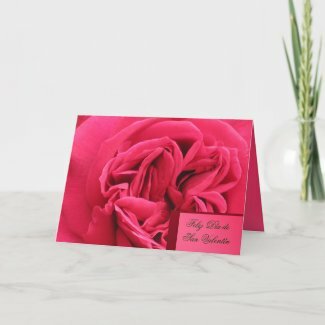 Hola, If you’re looking for tarjetas y invitaciónes (cards and invitations) to give to someone for Feliz Día de San Valentín on el 14 de febrero, check out the tarjetas y invitaciónes on this page from Dean Johnson Fine Art design. His are lovely, I think. I especially like the colours, and each one of his tarjetas y invitaciónes are created individually. And he asked me to tell you that they are designed so that you can write your own personalized message on them. They are not mass-produced, cookie-cutter or corporate. And when you support him and his work you’re supporting an individual artist and not some mega impersonal corporation, off-shoring, or outsourcing (such as “Made in China,” for example). Dean says he will appreciate your business. 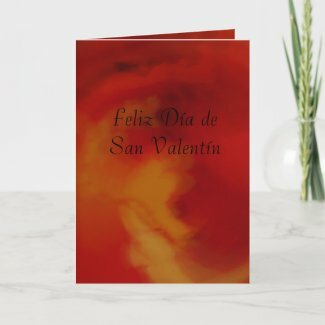 His tarjetas y invitaciónes for Feliz Día de San Valentín are all over this page. Of course, any of them could be used for another occasion if you want just by customizing them for the occasion of your choice.